We both know SEO is a long game, but one that provides real results. Optimizing for search engines is essential if you want your dealership website to be found organically in search results and maps. 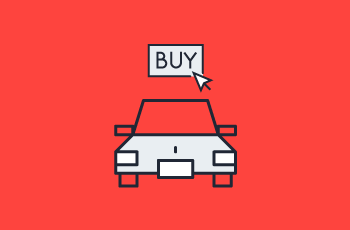 And providing real value for car shoppers once you’re found is essential to build trust and reinforce site authority with customers and search engines. If you’re new to search engine optimization and are looking for an introduction to SEO, let’s start there. But if you’re ready to roll up your sleeves and tackle optimizing your website, here are a few steps to get you started. The first step toward optimizing your website is understanding your CMS. Your CMS or content management system is the software application you’ll log into to edit and manage your website. Each CMS is different and not every aspect of your website may be editable, depending on your website provider and CMS limitations. Spend some time getting to know what level of control and support your CMS provides; for example, can you add custom HTML, reorder the navigation, use iframes, edit URLs, or add a blog. Knowing the limitations is essential for planning new landing pages, optimizing technical factors, and improving user experience. This is also a good time to make sure your CMS provides the mobile-friendliness required to rank organically. Having a mobile-friendly site is non-negotiable. 70% of online traffic comes from mobile devices and that number increases every year. As a result, Google’s mobile-first indexing prioritizes mobile-friendly websites, meaning sites that don’t render properly on phones and tablets simply won’t rank as well. Your website needs to be as easy for search engines to understand as possible – and that starts with bots. The crawling process is the first step for Google to understand your website and informs when or why it should appear in search results. Bots start website crawls with known URLs thanks to sitemaps provided by website owners and past crawls. Crawling each URL individually, bots use page links to navigate and discover new pages, as well as note changes to existing pages and dead ends due to broken links. Optimizing technical ranking factors on your website, or crawlability optimization, impacts how a bot will crawl and comprehend your website. Use Google Search Console to check your site map, make sure all pages are being indexed, and address any outstanding crawl errors. Log in to your CMS to comb through the pages of your website, adding internal link citations, alt attributes to images, and schema markup to your address and contact information. Title tags, meta descriptions, and headers are important to explain page content to bots as well as users. Focus on making them concise and descriptive so bots and users can quickly skim them and know what each page is about. Ultimately, Google wants to deliver the most relevant information as efficiently as possible. The end goal for search engines is to provide a streamlined user experience by serving up only the best and most relevant results. That’s why it’s essential to optimize your website for crawlers, yes, but in the end, it’s all about the user. Think about the auto shopper’s journey and the micro-moments that lead them to a sale. Aligning your website content with these moments is as important as aligning your digital advertising. Think about the auto shopper’s journey and the micro-moments that lead them to a sale. Aligning your website content with these moments is as important as aligning your digital advertising. Consider the high- and low-funnel questions shoppers have and the research they conduct online, and then use landing page content on your website to provide answers where it makes sense. Optimize each organic landing page with unique, helpful copy and interactive features such as payment or trade-in calculators. And remember, while keywords are important, Google's RankBrain machine learning algorithm means we've moved beyond single keywords toward categories. Google now thinks like a thesaurus, relating search terms with synonyms. For example, if you search for ‘sneakers’ Google understands that you may also mean ‘running shoes’ or ‘tennis shoes.’ Optimizing an Acura service page with a range of service, maintenance, and tune-up keywords will help rankings for any and all Acura service keywords, even if there’s a specific one you never use. Don’t let your website feel cookie cutter. Website copy needs to be unique across your website and unique from your competitors to benefit. Prioritize creating unique, high-quality content for your general inventory pages, model-specific inventory pages, contact or directions page, and homepage. Optimize title tags, meta descriptions, headers, CTAs, and images on each page using 1-3 relevant geotargets and 3+ related keywords. The good and bad news about optimizing your website is that there’s no finish line to cross. No moment where you can cross ‘SEO’ off your to do list. Search engine rankings are increasingly complicated and impacted by a combination of factors including, but certainly not limited to: social media, reviews, video, offsite factors, location, competitors, links, keywords, content quality, technical factors, crawlability, indexing, photos, user activity, user experience, local directories, algorithm updates, crawl errors, domain authority, history, trust, and more. To climb to the top of relevant search engine results pages and maintain your rankings once you’re there, you should work quickly to ensure the foundation of your website is strong, but then plan on steadily continuing to make strategic updates to your website. A good habit to develop is spending time on your website monthly, thinking through the customer journey and establishing optimization priorities using historic website performance, local research and demand, keyword rankings, competition, search trends, brand awareness, and seasonal trends. If time permits, in addition to your website consider off-site factors like Google My Business, social media, and reviews. These tips are a good start, but if SEO feels like never-ending and increasingly complicated to-do, consider a digital provider who understands the breadth and depth of on- and off-site optimization tactics. To learn more about working with Adpearance, give us a call. We’ll start with a free website analysis that audits your organic presence and recommends tactics to improve your rankings and quality of organic traffic. From there, you can take the reins on optimization or partner with us as your full-service digital marketing provider.